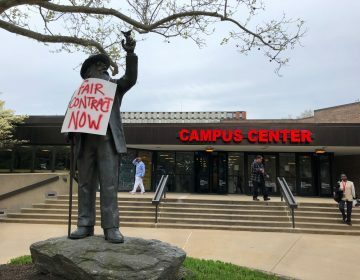 It’s a first for Pennsylvania’s largest teachers union. The Pennsylvania State Education Association says it now supports using test scores to evaluate teachers. 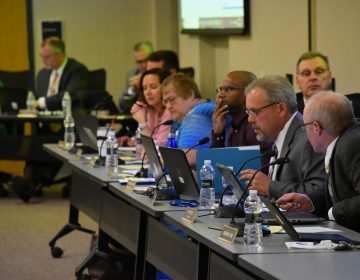 PSEA President James Testerman said what teachers know, how they plan their lessons, and how they link what they’re doing to district and state standards, should also be part of an evaluation system. “We don’t think that student assessments should be the be all and end all of an evaluation system, but we think it should be part of the conversation when you’re looking at the whole child and, really, the whole instructional practice,” Testerman said. 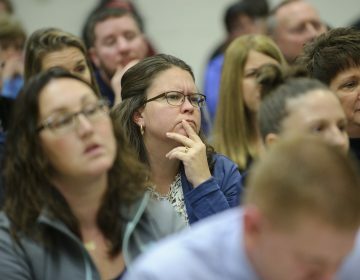 “The teacher and the person doing the evaluation, and hopefully there are going to be multiple evaluators, and they’re going to be trained in the subject matter the teacher is teaching, will meet on a regular and ongoing practice to review what’s going on in the classroom,” he explained. The plan has plenty of opponents—including Richard Rothstein, a research associate at the Economic Policy Institute, a liberal-leaning think tank. “The use of test scores to evaluate teachers at a school inevitably creates a situation in which schools diminish the attention that they pay to history and sciences, arts and music, character development, good citizenship,” Rothstein said. Rothstein said the problem is that more holistic ways to evaluate teachers take a lot of time and money. Pennsylvania Gov. Tom Corbett is working on a new teacher evaluation process that would go into effect for 2012-2013 school year. He is in favor of using student performance as a key measure of a teacher’s success. The PSEA underwrites WHYY’s coverage of the Capitol in Harrisburg. The school board put the idea on hold in January pending the outcome of lawsuits from parents and teachers.